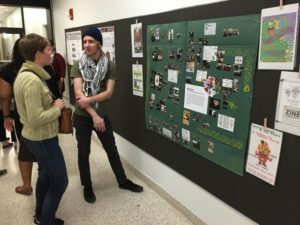 On January 18th The Plant was included as a presenter session during the 8th Annual Arts and Social Justice Symposium hosted by FSU’s Department of Interior Architecture + Design. 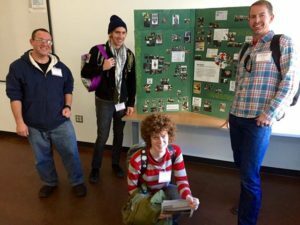 Along with sharing information during the poster session, four members of The Plants’ volunteer staff led an informative and thought provoking presentation about the space. Topics included the history of The Plant, the methods and techniques the space uses to engage the community, and the ideological framework that supports this endeavor. For more information on The Plant, please stop buy 517 Gaines St. or contact us on Facebook. Brian Slingerland sharing info during the poster session.